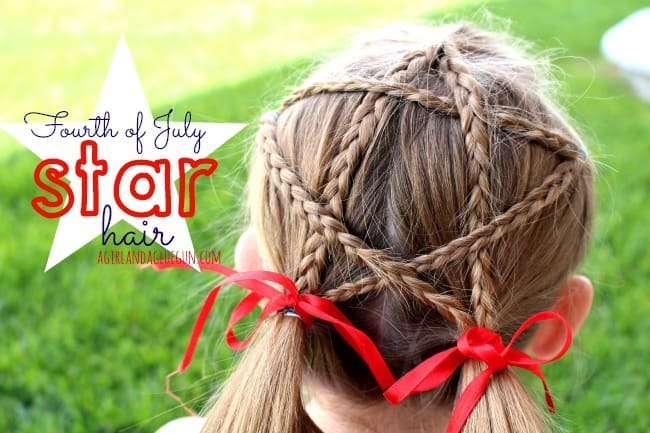 fourth of july STAR hair! I occasionally impress myself and others by doing my kids hair all fancy like..
sometimes I impress myself that I remind them to brush their hair before we leave the house. sometimes I’m just impressed my kids are clothed. 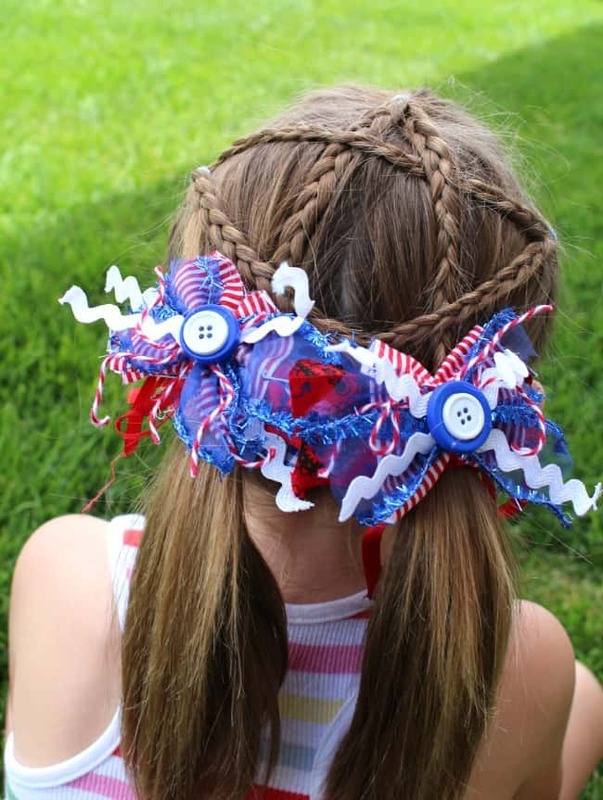 anyways…here’s a REALLLy easy way to get festive for the fourth of July! 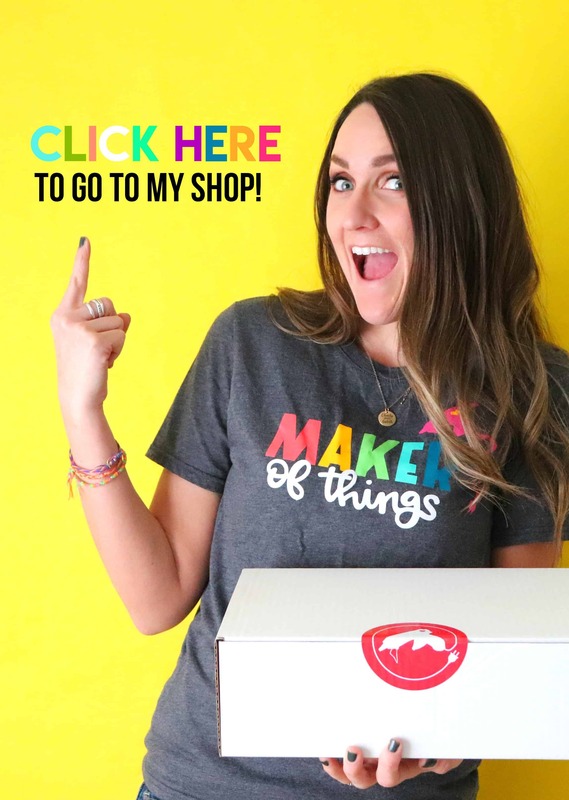 make sure the sides are more towards the top than the middle! 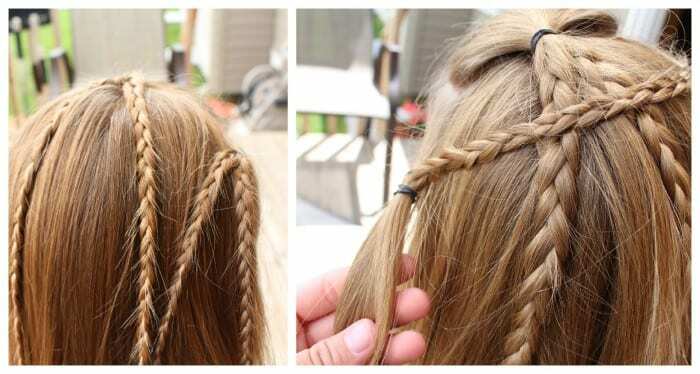 Split the top into two braids. 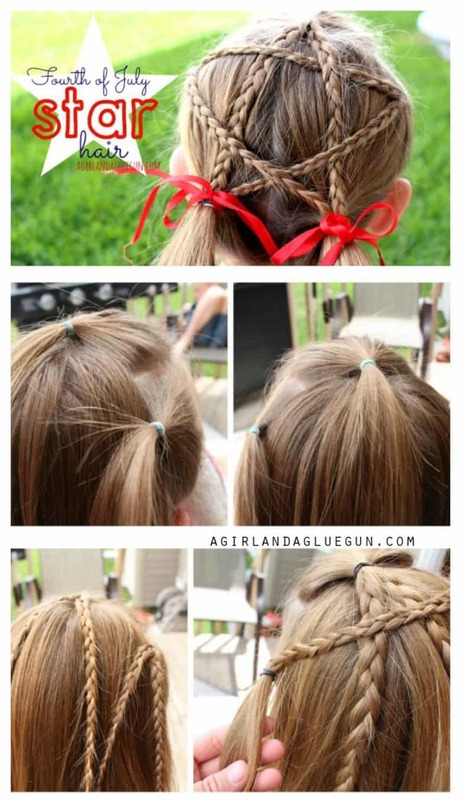 Split the one of the sides into two braids. 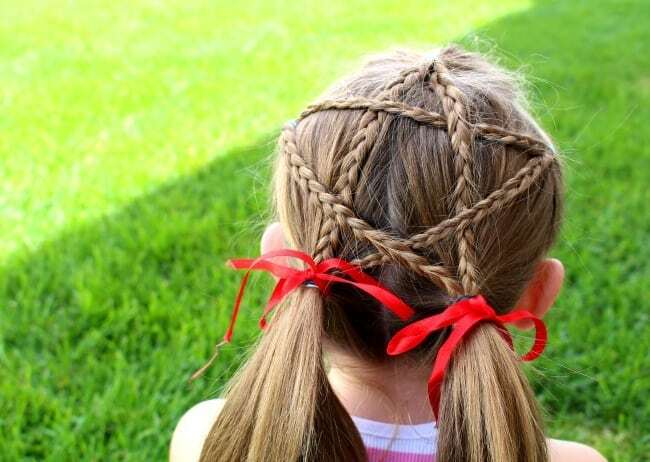 Take ONE of the braids from the side and cross over to the other side. tie it that side. Then part the remaining hair down the middle and pull into a low ponytail (i think it’s easier to move the braids out of hte way and just add them right before you add the rubber band. 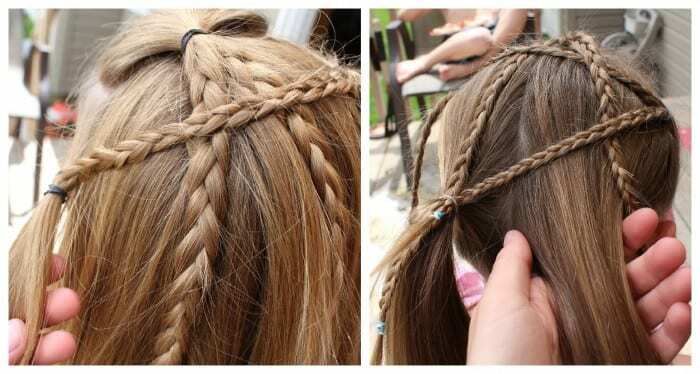 You will take one braid from the top and one braid from the opposite side. thus making a STAR!!!! make sure to throw on a cute junque bow!